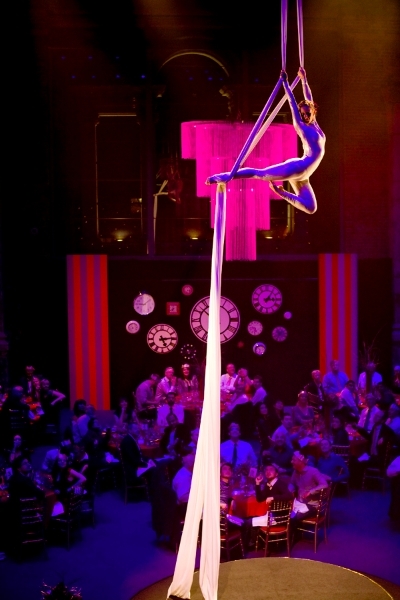 Aerialists are available to perform stunning stage shows, longer “hangabout” sets, and very unique champagne-pouring meet-and-greets. 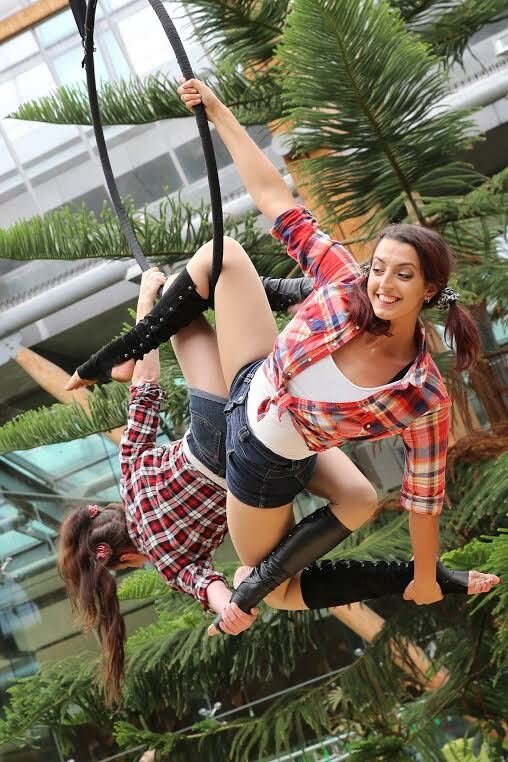 Perfect for adding that wow factor to corporate events, balls, stadium events and circus theme events. 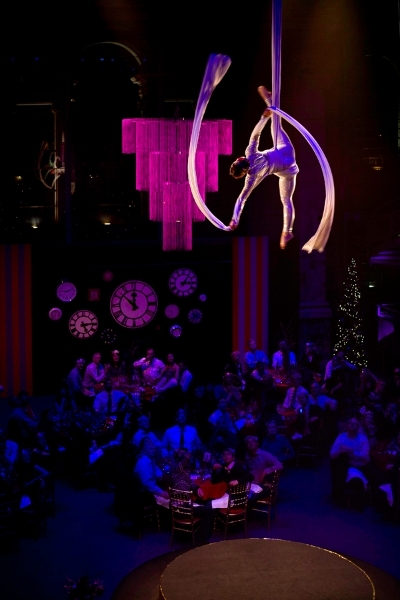 Picture an aerialist hanging from a freestanding rig, or even from the ceiling of your venue, greeting your guests and pouring them glasses of champagne as they come in. 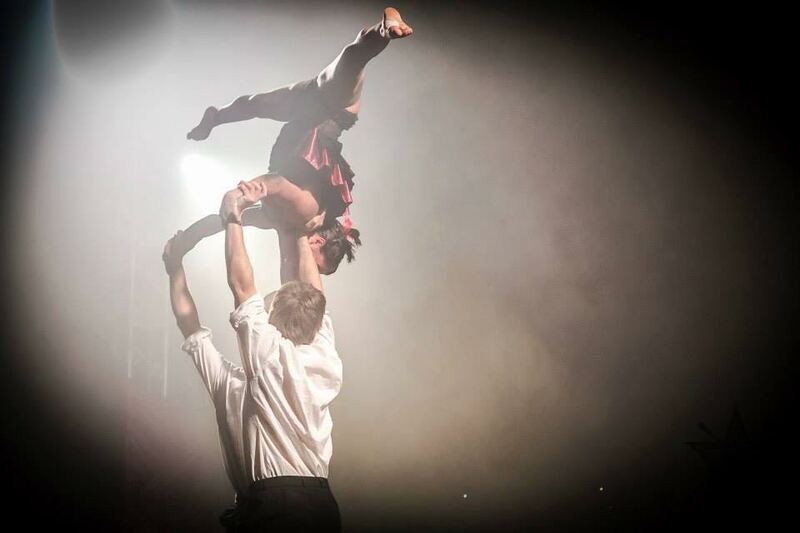 Or our aerialists can perform high-impact choreographed stage shows, five-minute acts of mindblowing virtuosity. 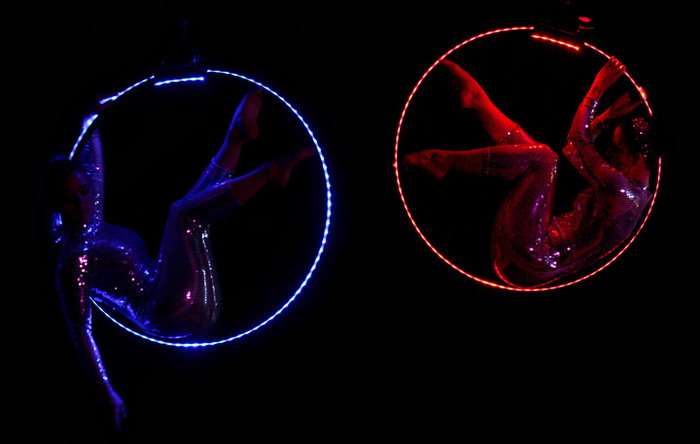 Hangabout sets last longer, usually twenty minutes at a time. 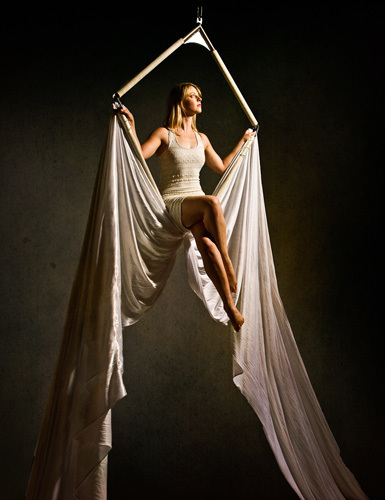 Skills include aerial silks, aerial hoop, and trapeze and performers can work as soloists or duos. 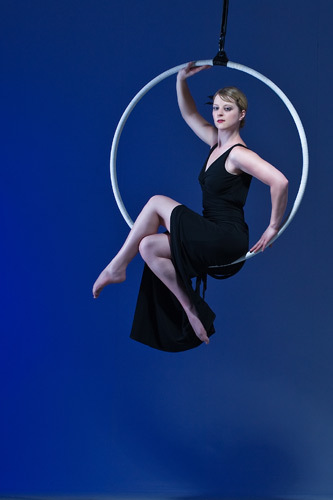 We also have access to several unique rigs, such as giant heart, a bird cage, and a “lollipop lyra” (an aerialist’s hoop at the top of a freestanding pole). 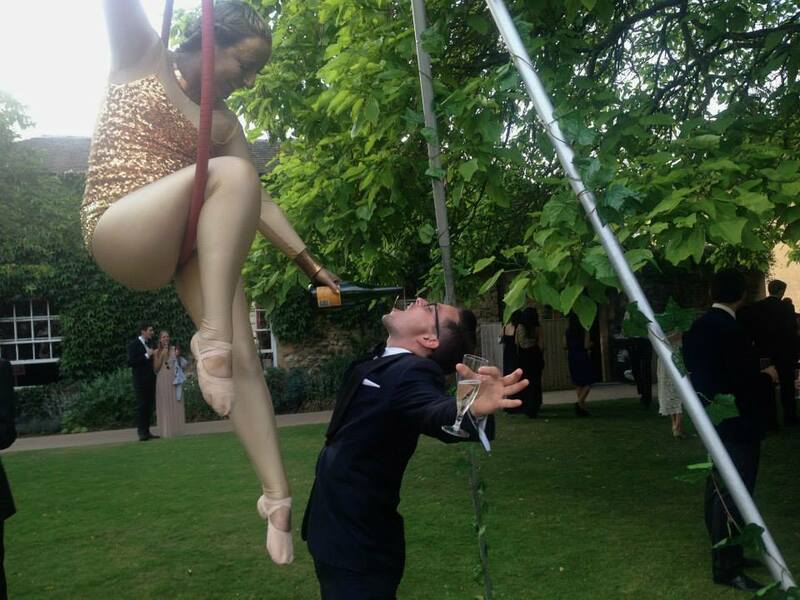 We also have rigs than can be custom decorated for your theme. 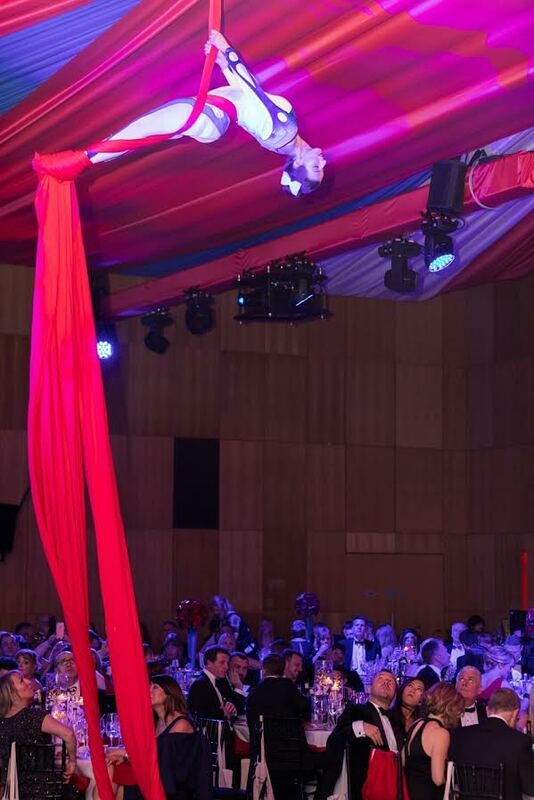 Hafla Entertainment aerialists offer shows with a variety of themes and can customise the theme to your event if given suitable notice. 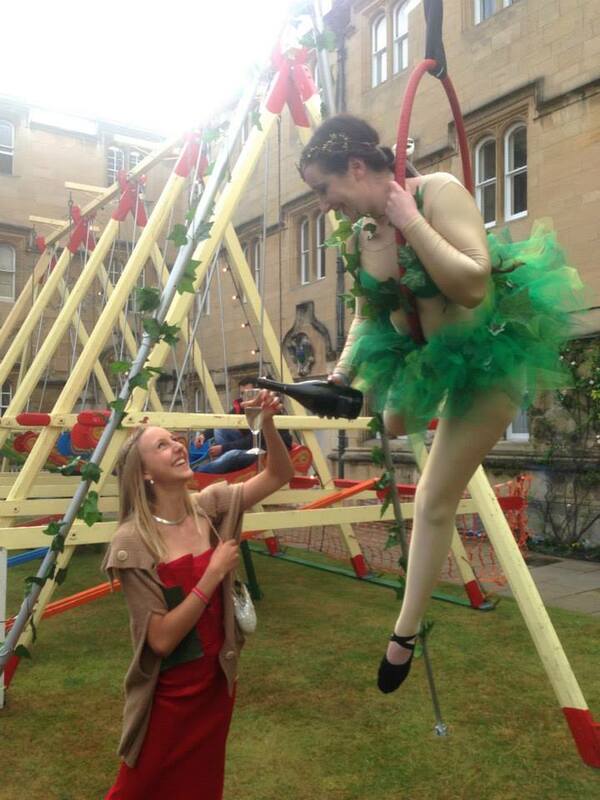 Past themes include tango, James Bond, Gardens of Babylon, burlesque, Bollywood, Alice in Wonderland, circus and futuristic. 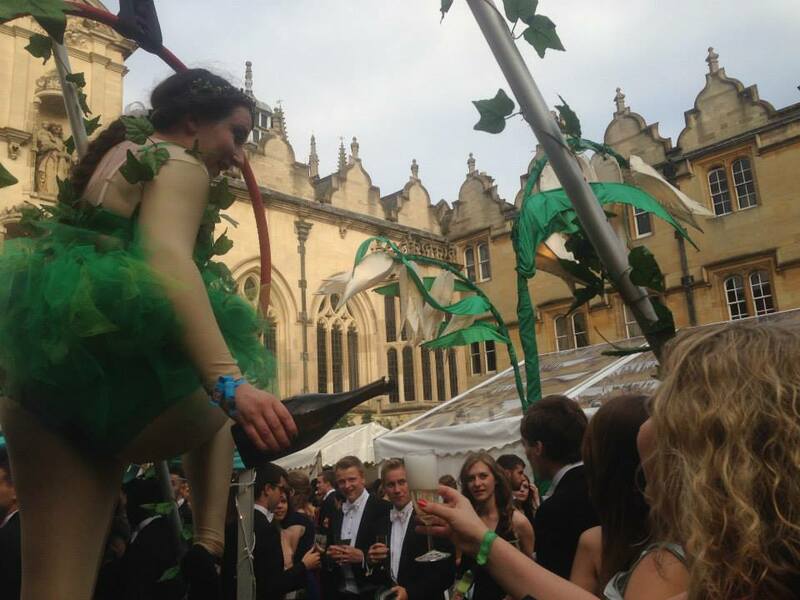 Our services include both a professional rigger (for on-site rigging) and a glamorous assistant (for champagne acts) where needed.